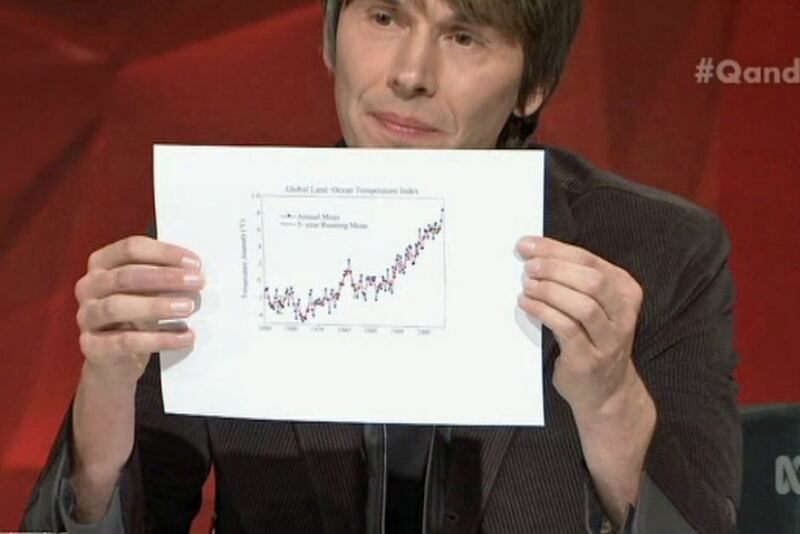 Dr Brian Cox explains the reality of climate change on the Australian QandA programme. Photo credit: abc. An Australian Science Minister has been forced to defend British Scientist, Dr Brian Cox`s view that climate change is real and caused by humans. Brian Cox has become a household name through a series of BBC documentary programs, most notably the hit show Wonders of the Universe. Cox appeared on the Australian debate show QandA (see below). After a question from the audience about the human contribution to climate change, Cox made it clear that climate change was happening, was man-made and that the impacts could be daunting, devastating and disastrous if no action was taken. Cox said he was very worried about how little we were doing to combat it. But then some astonishing claims were made by climate denier, and some would say conspiracy theorist, Australian Senator Malcolm Roberts. He not only denied that climate change was happening, but also said that the climate data has been manipulated by NASA. Brian Cox then went on to say: “NASA? The people who landed man on the moon? I’m just going to ask, do you believe we landed men on the moon?” To which Robert’s did not offer a clear reply saying “I see what you’re trying to do there”. Cox went on to ask if Roberts believed that NASA and other scientific organisations around the world all manipulated climate change data, and just happened to get the same results? To which Roberts refused to give a direct answer, preferring to talk about NASA. Science Minister, Greg Hunt is not a favourite of environmentalists and green groups for his failure to do enough to tackle climate change, and for failing to admit the link between coral bleaching of the Great Barrier Reef and coal mining and transportation near the reef. But on this occasion Hunt came out defending climate science. He said that the Australian government believed and trusted the climate science information that climate change was caused by human activity. Throughout the half- hour debate, which also saw contributions from Linda Burney, Shadow Health Minister and Mathematician Lily Serna, there was broad agreement on the reality of climate change. All the panelists, the audience and the host, Tony Jones, were baffled by the climate change stance of Malcolm Roberts. For a long time climate deniers have denied that any warming has taken place. 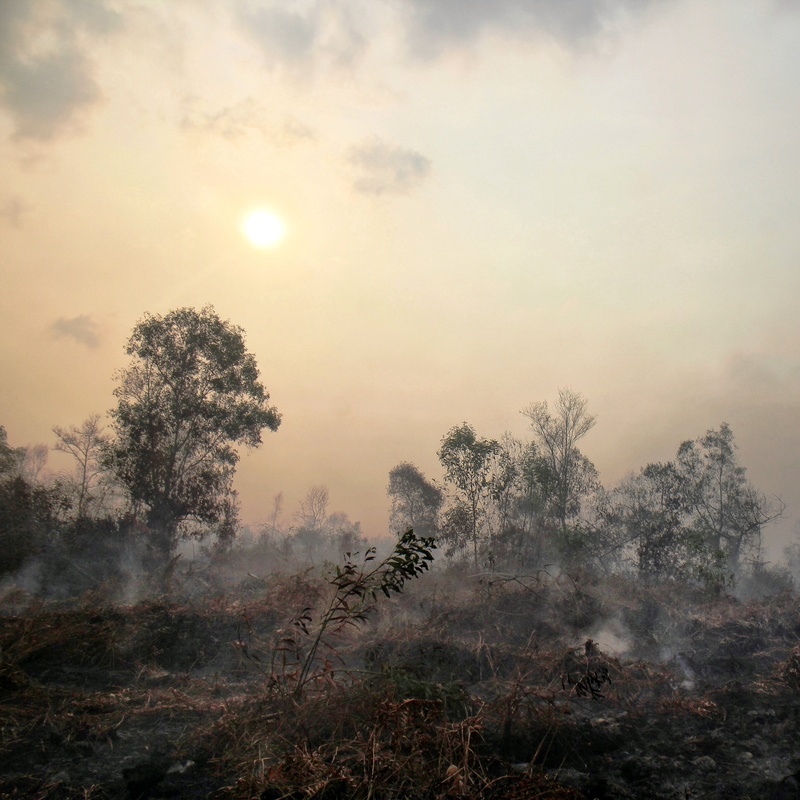 But some of them are now accepting the idea that the planet has indeed warmed since pre-industrial times, though rejecting the theory that humans are influencing warming. However, Roberts stills belongs to the ever-declining group which denies both warming and human influence. ← In Europe, could the energy power balance be about to change?